The Period Pratunam is a 5-minute walk from Platinum Shopping Centre and Pantip IT plaza. It offers stylish air-conditioned rooms with a 40-inch flat-screen internet TV. For convenience, the hotel is equipped with free Wi-Fi and a 24-hour front desk. The hotel is a 10-minute walk from Ratchatewi BTS Skytrain Station, providing easy access throughout the city. It is a 15-minute walk to Central World Shopping Mall. 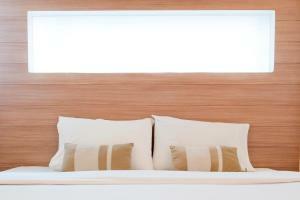 Cosy rooms at The Period are furnished with minimal style decor. 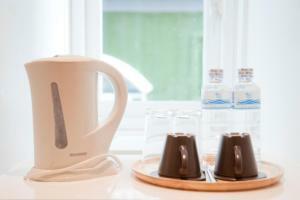 Each room comes with a safety deposit box, a minibar and a tea/coffee maker. An en suite bathroom includes a rain shower and a hairdryer. Guests can experience local delicacies at nearby restaurants, located within a 5-minute walk from the hotel. 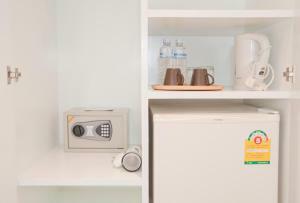 Air-conditioned room comes with a safety deposit box, a minibar and a tea/coffee maker. An en suite bathroom includes a rain shower and a hairdryer. 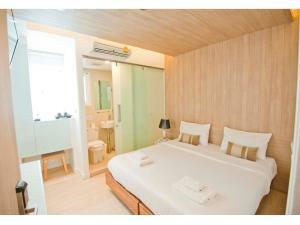 Rate: THB 1512.00 ... THB 2572.50; select dates below to get current rates. 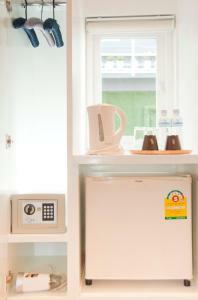 Larger air-conditioned room comes with a safety deposit box, a minibar and a tea/coffee maker. 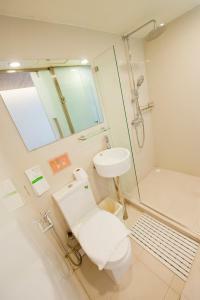 An en suite bathroom includes a rain shower and a hairdryer. Rate: THB 1694.70 ... THB 2530.50; select dates below to get current rates. 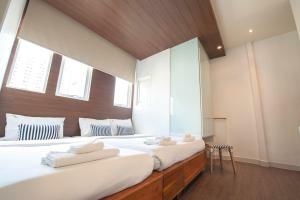 This triple room features air conditioning, minibar and satellite TV.